Ready mix concrete specifically been manufactured in the batching plant according to the given set of proportions further delivered at the work site by truck mounted with mixtures. 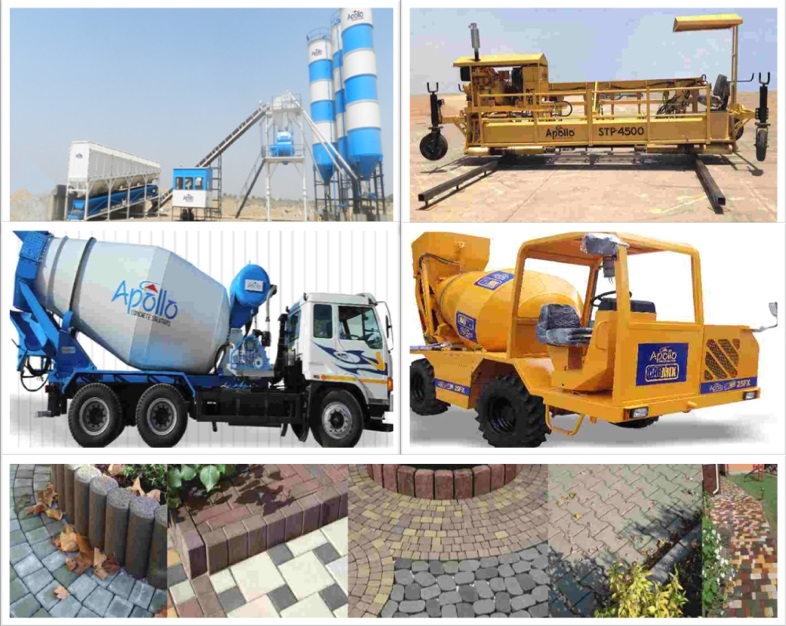 It is also been termed as customized concrete products for commercial purpose. It is a mixture of cement, water and aggregated that comprises sand and gravel in unhardened state.It is generally been used for construction of high rise buildings and bridges.Traditionally, the material is been procured separately and mixed in specified proportions at site to make the concrete. Barrel Truck or in transit mixtures: Delivers concrete in a plastic state to the site. Volumetric Concrete mixture: Readymade mixture in dry state and mixes the concrete on the site. Ready Mix Concrete is been manufactured under controlled operations and transported at site using sophisticated Ready Mix Concrete equipment and methods. As mentioned earlier, the concrete consists of different contents with other chemicals which are weigh- batched at centrally located plant, delivered to the construction site in transit mixtures that can be used for further treatment. The ingredients used are thoroughly tested for their quality and physical properties in the laboratory attached to the plant. Moisture probe helps in fixing with the amount of water to be added in order to prepare the concrete. The water is been added accordingly and process takes in plant, produces concrete. Once, the concrete is been made it is then loaded into the truck which is known as transit mixture further delivered at the construction site. Ready mix concrete is batched and been manufactured under controlled conditions with help of batching plants. Quality assured concrete is been produced under controlled conditions. One of the main advantage is reduces noise and air pollution. Relatively, its pollution free. Timely gets delivered to large and small scale production, due to site based batching plant, no depreciation of costs. No need for space for storing the raw materials. Consistency in quality due to accurate and computerized control of sand aggregates and water according to the mix designs. Building work is composed of plethora of core activities starting from buying raw materials to mixing the concrete, making structures and many more. The time factor is always higher as far as construction business is concerned. Earlier, more man power assistance was required to meet the core building work requisites because every part of construction for instance is a blend of tough jobs in which concrete making and structural blocks making are two main activities required in majority. In earlier days, building of concrete structure was done purely with simple tools where most of the core work was done only with man power. Concrete mixing is yet another hectic task in which the proportion of mixing ingredients is critical task. These two jobs are time consuming. However, with the recent implementation of new machinery designed for fast construction works, many core tasks have been simplified. Conventional construction methods required more man power; hence, cost of construction was comparatively higher. Builders need to balance expenditure for raw materials, transportation, labour, etc. Among the expenses, labour cost had been a big issue as not much equipment was available in those days so that the core building works can be completed earlier. Time factor was yet another reason for the increase in structuring work. Later with the inception of construction specific devices such as ready mix concrete plant, concrete batching machine, and many more devices, construction business has been developed over beneficial economic results. For example, a construction labour costs $51 to $ 53 per day in US, in UK one day payment for labour is 45 to 46 GBP, and the cost of man power varies in every country. However, the pricing for workers can be reduced considerably with the help of construction devices. A ready mix concrete apparatus helps the construction administrators to get fresh concrete without hardening of the ingredients. Since, certain important components like cement tend to become harder within short time; a ready mix plant would stay an effective option in reducing the percentage of waste. Concrete blend from this plant can be sent to construction sites within vicinity and without any changes in the quality of the material. It helps to save more money provided the plant is located within short travelling time distance and the mode of transportation is flexible. 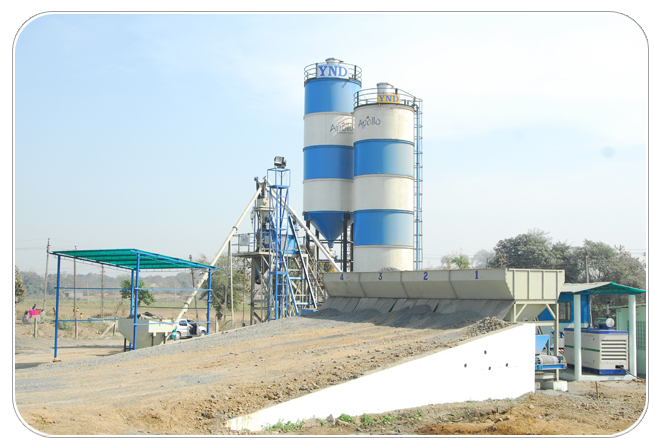 With Ready mix batch plant it is very reliable to make good profit in a moderate investment. This system allows producing high quality concrete at relatively moderate cost. Spun Pipe is a useful option in construction works. Buying a transit mixer is a perfect option for those who cannot invest on concrete plants. This mobile equipment can be transported to any location and the builders can save time and cost of construction with this apparatus. Equipments designed to produce concrete and other building needs are always a best alternative than spending for labour. Several factors affect the performance of concrete handling equipment. Material factors have also been seen as important in equipment performance and due attention must be paid. Each construction material should be properly analyzed for suitability before construction work begins. Some important analysis includes moisture content, construction suitability, chemical and physical properties and the type and size of particles in the material. The source of sand is an important factor for construction. Sand sourced from saline/ salty environments is never recommended due to chemical composition and can have damaging effect even on the construction equipment. For construction, the compression ability of the sand must be tested. Sand with high compression is not suitable for construction. This raw material makes up 60 – 75 percent of the volume of the aggregate mixture. It provides the volume stability of the finished concrete. One important quality factor that affects machine performance is aggregate size, which affects the shrinkage potential. Water and cement usage increases proportionately with decrease in aggregate size to offset the probability of shrinkage. The Batching water quality is a consideration for mixing operations. The water used in concrete making is guided by guidelines such as the ASTN C94, and ASTM 1603. Non-potable water used in concrete mixing and batching plant operations can affect the machine performance and quality of product. Water resulting from concrete production processes, storm water run offs from the facility and others containing concrete aggregates has a maximum allowed solids content of 50,000 parts per million of the total mix. Anything in excess of this will lead to poor product. Current designs in equipment have recognized the impact of excess water happening during the mixing process such as when rain occurs when work is going on. Increases in the volume of cement slurry due to dilution by water causes too much flow thus weaker mix while too little water may lead to collapse of the final product. This eventually affects the strength and durability of the concrete product. The type of aggregate used and mixing affects the workability. Reinforce concrete with high steel percentage creates a difficulty in compaction with concrete machines as well as handling with other equipments; It has low workability. Concrete with high workability is easier to handle during mixing and transfer operations, which utilizes machines such as concrete mixers etc. 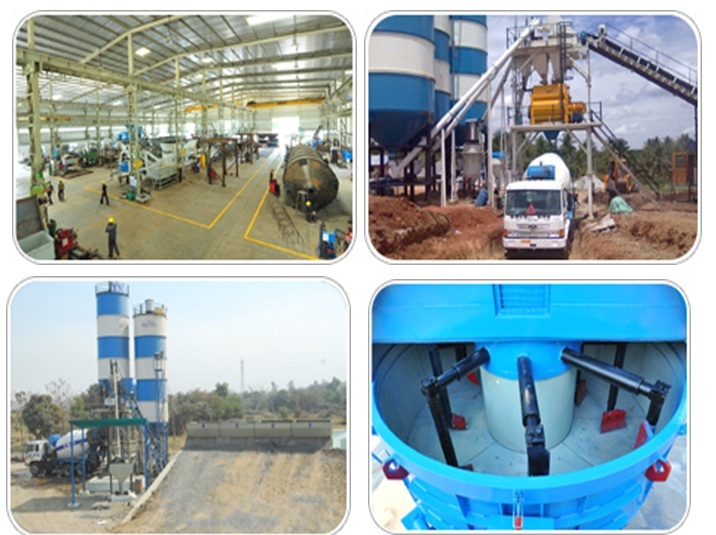 Mixing is best done using mixing machines or ready mix concrete plant. The self-loading dumper and self-loading cement mixers, offer good concrete handling solutions. The quality of material also has an effect on the blending process. The mixing time is dependent on the concrete mixer capacity as well as final concrete requirement. A drum mixer with a small diameter translates to greater velocity than that with smaller diameter. If stiff and rigid concrete is the end product, longer mixing time is required. Ready mixed concrete requires transportation from one site to another. During transport, equipment used has an impact on the final product. Transport equipment must guarantee water/cement ratio is maintained, slump, air content and consistency is achieved. While sourcing for concrete equipments it is important to source only from reputable concrete mixers manufacturers , and assured project success. Concrete is made of binding different materials and aggregates and applied for structural purpose. It remains strong and hardens and stays effective for economic and reliable building works. In recent days its usability has been found to be applicable in wider ranges of applications including road, bridge and different forms of structures. Concrete is inert and non-porous when compared to other conventional materials applied in the preparation of roads. It can withstand natural disasters and not disturbed by moisture or pests and gains strength as time passes on. These are some of the reasons which favored in the making of roads. When it comes to changes in structural sector, blending of newer range of materials has now been accepted worldwide as one of the top sustainable ingredients for building applications. Considering the impact on building aftermaths of natural disasters, several research oriented studies found this material to be the fast, cost effective and most reliable ones when it comes to good quality. This has also become one of the reasons to find enormous growth in building industry. Urbanization is what Nations are focusing on and it has resulted in encouraging infrastructural growth in cities across the world. Different levels of technically developed construction projects can be identified in many cities and concrete based structural works support to a great extent. The growth of cities to smart cities with flexible forms of housing and commercial spaces is gradually making impact on present and future plants of urbanization. Due to the demand for infrastructure, people also look for fast productivity. The inception of equipments in view of managing inter-erection works of residential, commercial and public projects like roads, dams, etc have revolutionized productivity needs. 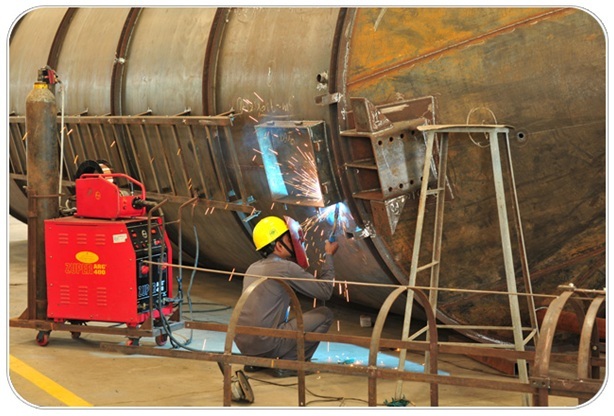 There are different forms of structural friendly equipments which have been destined considering issues like poor quality, expensive labor charge and wastages. The applications of building supportive devices eradicate the above three aspects in a reliable way. The batch facility eliminates several practical issues involved in infrastructure creations such as, stationary plant that facilitates smart transmit of ingredients, reduced emission of polluting factors, minimal or meager wastage of materials, less man power requirement, etc. Mixing plant is designed to facilitate efficient blending of building ingredients leaving less wastage. This equipment provides optimum results in high-end material requirements. This optional also helps to reduce operational as well as production cost. Ready mix plant is designed to ensure excellent performance of mixing building ingredients and featured with technically advanced specifications. Construction equipments have brought great changes in carrying our reliable and faster structural works. 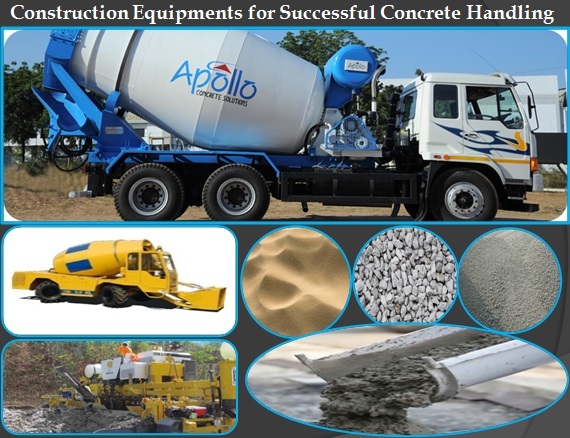 Apollo Concrete Solutions provides advanced forms of devices which support for housing and commercial works to a great extent. How Failure Happen in Concrete Mix? Concrete mix produces efficient results in terms of adding strength to the construction structure. Failure to meet the proper requirements in obtaining the right procedure and right ingredient in concrete making leads to formation of cracks and poor building structure with seepage possibilities. Concrete bears good tensile strength however; the same has to be preserved in terms of following appropriate mixing guide. The common mistake which many construction workers commit is that they either add excess of water or little water than the required amount. This amounts to leakage and improper curing of concrete slabs. Cracks on the concrete surface may appear soon. Poor construction quality also happens by allowing lesser time for curing than what is required in actual. The quantity of chemicals and other admixtures also need to be in right proportion to obtain consistent concrete. The application of high grade ingredients plays an influential role and the cumulative grading has a strong impact affecting the final outcome of concrete texture and subsequent shape. Segregation of cement ingredients is also an often occurring worst effect due to the impact of inconsistent concrete mix. This results in the failure of solid components to go compatible with other fine particles or water. Conventional mixing method like hand mix or manual mixing method has serious impact on concrete texture if time taken for mixing or concrete ingredient and water ratio remain unbalanced. Failure to apply the mix on time also leads to construction flaws. In recent days the inception of concrete equipments like ready mix concrete, ready mix concrete batch plant, transit mixers, concrete pumps, or the hollowcore slab making machine, etc are best solutions with which investors can experience good return on investment. Moreover, these concrete problem solving equipments are fast, reliable, and cost effective solution. We are one of the leading concrete construction equipment manufacturers in India and we serve construction industry with quick performing and cost effective solutions which can keep the consumers stay away from failure in concrete mix. We supply batch plants suitable for small to larger construction projects. Concrete mix is the key point of successful and strong construction work. Improper mixing results in affecting the quality of construction and risk of obtaining worst building quality. Applying batch plant or a transit mixer for timely mixing in correct proportion and timely supply of mixture is one of the best and affordable solutions available today. 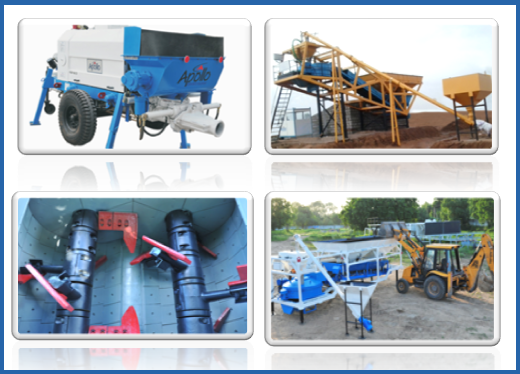 How To Prepare Ready Mix Concrete With Concrete Equipments? This infogrpah provides information about different concrete solutions that contains how to prepare ready mix concrete with concrete equipments like concrete batching plant, transit mixture, central batching plant, mobile concrete plant, hume pipe process through pipe making machine, vertical cast process and pre cast concrete equipment and many more. Concrete batching plant is a setup that can be established near to the big construction projects so that the transportation of ready mix concrete can be easily provided. 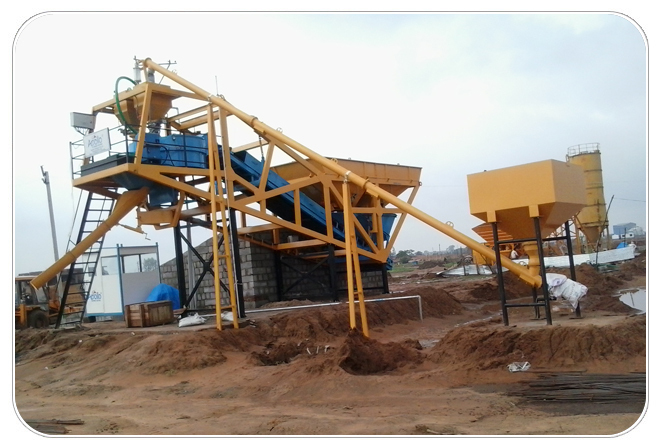 Concrete batching plant is also known as concrete mixing plant. Pre cast concrete equipment is used to cast the concrete in molded shapes before transporting to the construction locations. There are many benefits of building pre cast concrete compare to site cured concrete. The long preserving time of concrete generated through precast concrete equipment make it stronger, durable and efficient. Precast concrete usage is more time saving method where the final concrete is ready to place in a better way to implement infrastructure on time. – See more at: http://www.apolloinffratech.com/apollo_spiroll.html. Technology plays an important part in many sectors today, the building and construction sector is not any different. There are lots of modern day construction machines in the market that are all geared towards making work easier. The demand for concrete at any construction project is obvious. Depending on the nature and size of the project, some people may mix their concrete on site while other may opt for mobile trucks mounted with concrete mixing pumps. Get more details about concrete mixing pumps, visit at http://www.apolloinffratech.com/concrete_batching_plant_ats_45_plant.html. The Emergence of Ready-mix Concrete- Concrete batching is a latest technology that is applied to produce concrete and it differs from conventional concrete manufacturing in various ways. Earlier construction activity was considered the toughest one in spite of more man power assistance. Moreover, it consumed more time to form concrete mix as mixing of ingredients was done with the help of man power. However, with the invention of batch plant the process of producing mixing ingredients to form concrete has been transformed to a much easier activity. Batching equipment helps in mixing different components such as sand, water, cement, potash, etc. which are then mixed proportionately to form concrete. This device is composed of different parts which help in minimizing the mixing process and assist to generate the construction work faster. The emergence of batch plant has re-defined construction process by its quick and reliable functions. The Need for Supporting Bulk Construction Requirements-Equipments employed in construction industry is of different sorts. A batcher plant is considered the prominent among building-friendly components. This device is highly reliable to produce various concrete types in terms of its compatibility to mix a range of ingredients. Since, this equipment is designed with many containers in which each container is meant for specific purpose such as transporting raw materials, mixing of the necessary ingredients in correct proportion, etc. The invention of movable batching unit is a boon to the construction industry as higher level concrete requirement can be fulfilled with this apparatus. Profit Making Opportunities –Investing in concrete mixing plant is a great opportunity. With modern batch unit models, it is further easy to prepare ready mix or central mix concrete in terms of computer aided technology. With this computerized technology, all the processes of producing concrete can be made in accurate proportions. Moreover, it is quiet difficult or tough to meet the construction requisites for major infrastructures without the help of construction-friendly equipments like batch plant. Hence, investors who invest their funds in concrete mixing plant can earn more than the desired profit. Type of Batching Equipment to be Chosen- A concrete making machine is available in different designs wherein each design has its significance in accordance with the construction demand. Central mix batch equipment will stay a perfect choice to match construction requirements in developed places. Movable or portable batch unit will stay a good choice for big projects as they can be erected and moved easily from one place to another. However, mobile batch machinery might not be suitable in certain cases where space is a big matter of concern. Get in Touch with good Manufacturer-Batch machinery is available in many parts of the world. A good internet search will get you the list of reputed manufacturers of concrete mixing equipment. While purchasing a batch apparatus from a well-known manufacturer is an added advantage as they will assist the consumers in commissioning of the whole unit and also lend their support for a long term. Among the available choices of investment available today, a batch equipment is a highly profit making option. Selecting the right design of concrete mixing plant in accordance with the level of construction business will be an added benefit to experience the full implication of profit. How can Construction Companies improve their Profits with Advanced Technology Concrete Equipment? Concrete construction is one of the biggest and most dynamic industries. The construction sector is very capital and machine intensive with a lot of equipment being used. However, many construction experts always complain of the high costs of running the machinery as the biggest setback to the company’s profitability. This is why there is need to embrace advanced technology concrete equipment when setting up a concrete plant. The technology enables a contractor to consistently produce high quality concrete whether precast concrete, architectural concrete, paver or concrete blocks. The tailor made mixing plant and concrete batching plant will cater for small, medium as well as large projects. • Improved Production: Advanced technology concrete equipment ensures that the operation of the concrete batching plant is easy and convenient. This is made possible through automation which drastically reduces manual labor and increases production via automation. • Time Efficiency: A lot of time is spent or wasted when operating manual or ineffective equipment, adapting advanced technology in the concrete plant will reduce the time spent. For instance, a fully automated transit mixer will be operated by one person yet will be able to mix very large amount of concrete in a very short time period. • Cost Effective: Although the costs of purchasing items such as concrete pump or concrete mixture might look substantial in the beginning, the long term costs is greatly diminished. The advanced technology ensures that the concrete machinery offer durable service, minimal maintenance costs and reducing wastage. • Better Management: The biggest concern that faces many contractors is how to efficiently and effectively manage production, but with advanced technology this becomes much easier and flexible. • User and Environmentally Friendly: Operating advanced concrete tools is more user-friendly and convenient thanks to automation. The need to hire many laborers or constantly monitor their work and movement is greatly reduced. Reduced wastage also minimizes negative environmental impact leading to safer and cleaner surroundings. • Transit mixer: This is a custom-made truck that has the pump and mixer mounted onboard. • Concrete Pump: The pump is used to deliver concrete from the plant to the truck as well as from the truck to the site. • Concrete Mixture: This is the equipment that mixes the concrete. Whether the goal is to set up a new facility or improving an existing plant, it is necessary to ensure that the new batching plant meets the latest concrete construction technologies. The company dealing with the advanced concrete technology will not only provide the necessary equipment, but will also provide adequate knowledge as part of providing a solution. With the right type of concrete equipment, growth and profitability of a company will definitely be guaranteed.